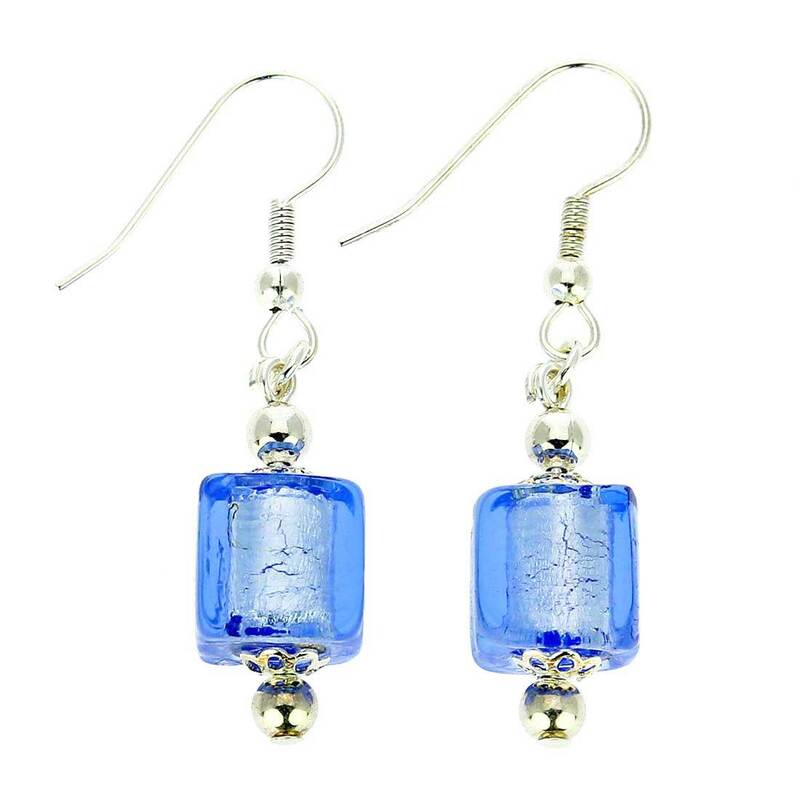 These beautiful dangling Murano earrings designed and hand-made by top-notch Murano glass artisans channel Venetian beauty and style. 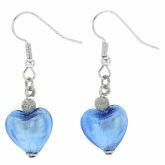 They will instantly add a touch of Venetian splendor to any outfit and occasion and will make any woman feel gorgeous and unique. 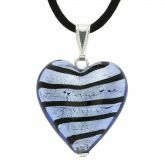 The exquisite hand-blown cube-shaped beads feature a layer of glass in rich color infused with genuine silver leaf and accented with silver-plated details for a lovely trendy look. 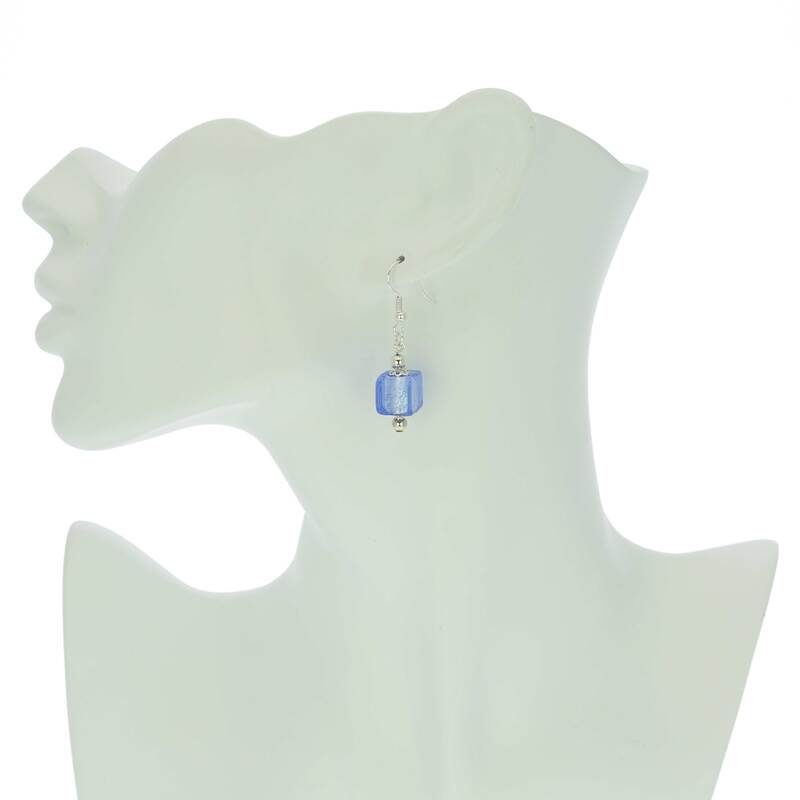 Measurements: The length of the entire earring is 1-3/4 inches, while the side of the cube bead measures 3/8 inch. 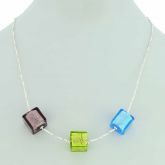 All non-glass parts are made of 925 silver-plated metal alloy for comfort and lasting beauty. The ear hooks are made of silver-plated surgical steel. Elegant and classy! Beautiful--as are all the other products! We visited Venice in October and loved the glass. 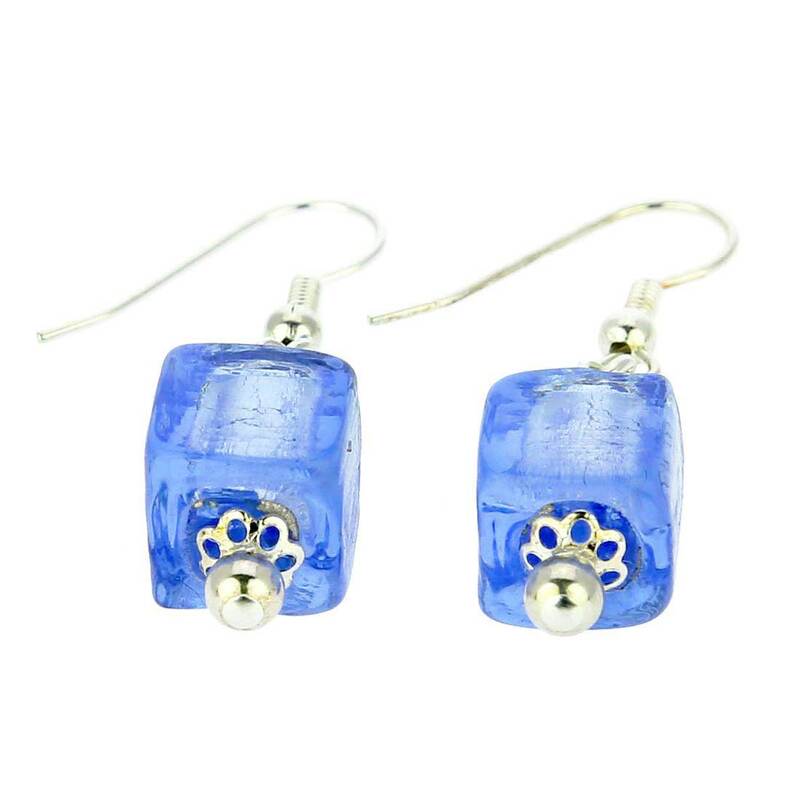 The quality and color of these earrings were very good and I will give them as a gift. Delivery was extremely quick and the presentation pouch is impressive.